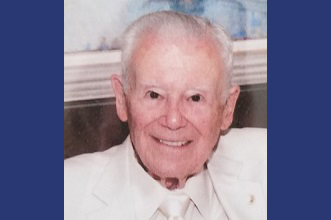 Nov. 21, 2018: James M. Bower of Providence, RI, died on Tuesday, October 16. He was 81. The son of Marvin and Helen Bower, he was born in New York City and spent his early years in Bronxville. 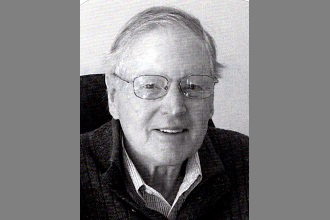 He graduated from Bronxville High School in 1956 and Brown University in 1960. He received a master’s degree in English from Ohio University in 1965. He was an educator for over 50 years, including a year in Colegio Roosevelt in Lima, Peru, 15 years as headmaster of Dedham Country Day School, and several years as head of charter schools in Massachusetts. He concluded his career with a 15-year involvement with The San Miguel School in Providence in roles ranging from English and geography teacher to director of admissions and baseball and chess coach. More than 40 summers were spent at his home in Castine, Maine. His enthusiasm for life was rewarded by the friends and singular beauty of the town. A game of golf and tennis or a sail in his Cape Dory were among his many memories. He is survived by his wife of 54 years, Kathleen; his daughter and son-in-law, Jennifer and Michael Athanason; his three grandchildren, Joe, Nicholas, and James (Dima); and his brother Richard from Bronxville. His brother Peter pre-deceased him in 1999. A memorial service was held on Saturday, October 27, at 11:00 am at the Manning Chapel at Brown University. In lieu of flowers, donations can be made to The San Miguel School, 525 Branch Ave., Providence, RI 02904.